Ralph and his crew from Currituck came down to fish with us today. 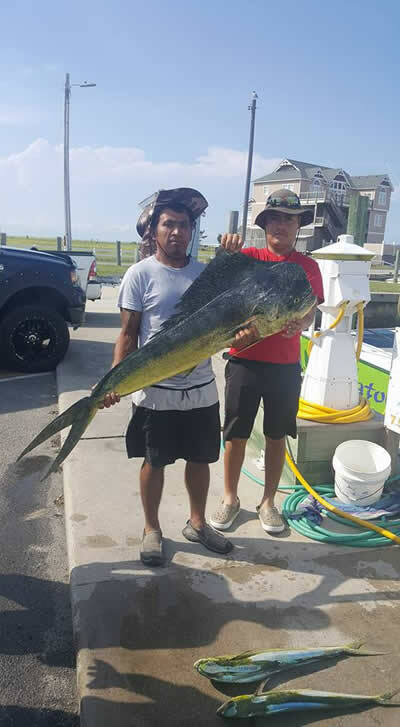 We searched high and low and finally found the mahi. 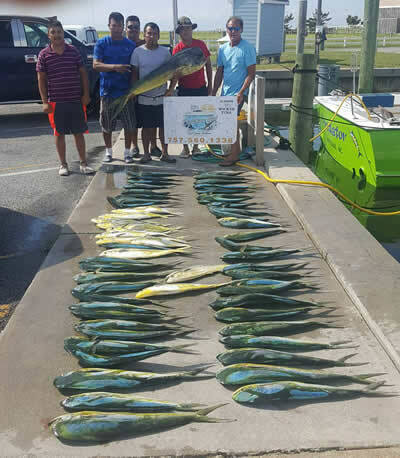 The guys put a hurting on them and we got our limit(60 mahi-mahi) quick along with a nice gaffer. Thanks guys and hope to see you again soon! !